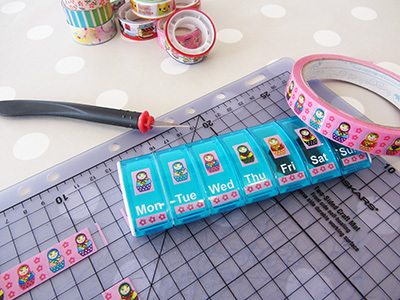 This washi tape is great fun and value, the kids and I love it. We own a growing collection of designs and I am afraid it will be an other family of supplies growing legs and running around the house to make sure it looks extra cluttered. Anyway we used this tape in several projects but today I will focus on grown up ones. Here are three day-to-day items I have customised and therefore made more beautiful. This diary of mine features lots of space on right pages, which I use to make these so important list of… stuff. 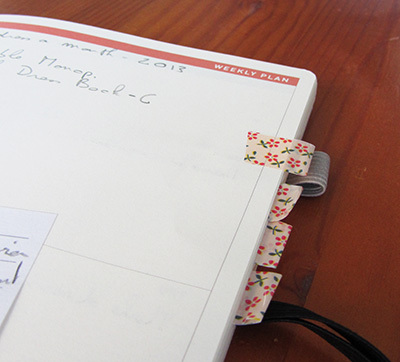 To find them easily in my diary, I have made tabs with folded adhesive tape pieces. 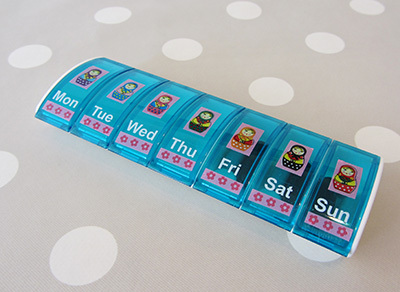 It is boring enough to have to take medication daily, why getting stuck with a boring pill box? They now come in lovely colours but they are generally very dull decoration wise. Here I cut out bits of the tape to stick them on each flap of the box. My new pairs of glasses came with a robust though sad casing. 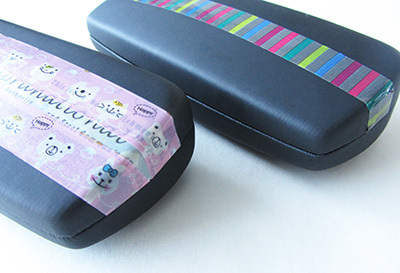 Until I get to make an embroidered case for each pair (any chance it happens in 2013? ), I have jazzed these ones up with a length of tape stuck across. The case at the foreground even sports three lengths from two different designs. Crafty, huh? Previous Post Circular needles: organised! Next Post Straight needles and crochet hooks: organised! Still have never tried it myself but I am tempted as your projects make it look so useful for everyday life. Thanks.